Correct Gray Brows is used to help correct eyebrows that have healed, or over time, turned to a grayish color.Custom Cosmetic Colors are pigments that have been successfully used by some o.. 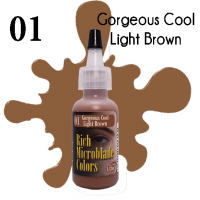 Perfect Cool Brown will help avoid eyebrow colors from healing a reddish color. It is for a person with a cool, red or pinkish undertone. Custom Cosmetic Colors are pigments that have been succes..
Feel Better Now Topical Anesthetic Gel is used DURING a procedure. This gel formula has a quicker numbing agent then most other topical anesthetic gels. 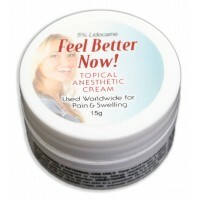 It has 5% lidocaine, 2% tetracai..